This gorgeous bone china mug is the perfect gift to give to your Page Boys. 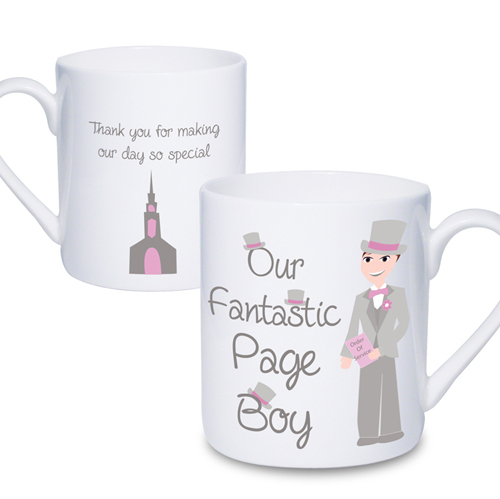 The mug can be personalised on the front with a first name followed by the words 'Our Fantastic Pageboy' which is decorated in little top hats. The back of this mug features a church design along with any message of your choice over 4 lines up to 25 characters on each line.